Bonni Brodnick Blog : Vintage B.S. Spring is in the air. Or at least on the calendar. March is around the corner ... but turn cautiously because you can't always see what's coming with that huge snow mound blocking the view. 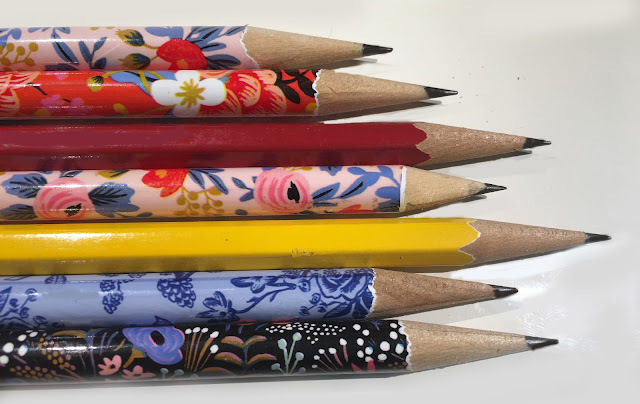 The Vintage Cosmetic Company love all things vintage and have created a range of vintage inspired cosmetic accessories which allow you to achieve a professional look in your own home. That is just want I want. To look "professional in [my] own home." Are you serious? The first thing I do when I get home is put on pajamas and slip into some comfy Uggs. Looking professional is exactly what I don't want to look when I'm padding around the manse. 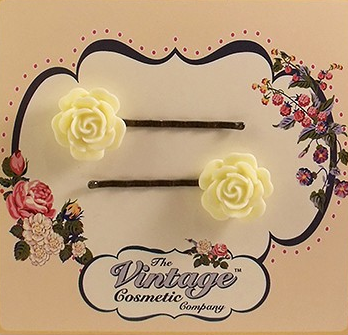 Nonetheless, these snappy bobby pins fit the bill for a finishing touch to perk up my barnet this March.